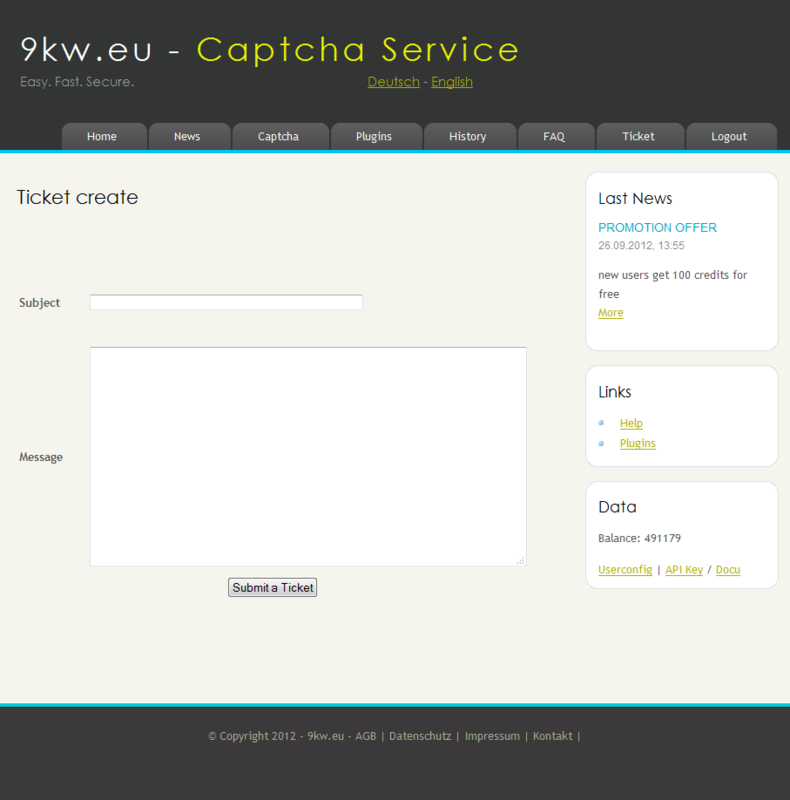 Solving captchas by hand is annoying and time-consuming, simply use our service to collect credits and have your own captchas solved comfortably. +5-10 credits per solved standard captcha, -10 per submitted standard captcha. When using the API (interface) to solve a captcha (without standard) there is a bonus (+1) and another bonus (+1 for under 12 seconds and +2 for under 20 seconds for audio and interactive, other types +1 for under 7 seconds) for the refuser. Many plugins are already available, e.g. for JDownloader (see Plugins). ** It's 5 points higher without the option proxy, pageurl and useragent. 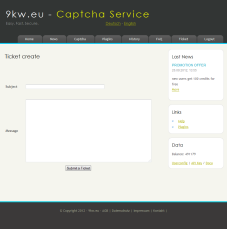 If individual Captcha-types are excluded one point less will be credited for each solved captcha. It can be disabled at any time. And one point for not enough captcha types selected like under 3. And sandbox (selfsolve) mode is without any bonus. Or earn credits with our 9kw client! Also see Help, Plugins und API for further information. Advertisement: Wenn Sie mehr über die Online-Casinos in Switzerland erfahren möchten, besuchen Sie die Seite www.swisscasinoonline.org, den besten Ratgeber für 2016 mit exklusiven Boni.